When her best friend dies, Samantha Brown is paralyzed with grief and loses touch with the part of herself that was learning how to take risks. Now, she must wade through the memories of her senior year in order to take the first risk of her adult life. This smart, funny, moving show unfolds at a deliberate, confident pace like a good mystery, and we love that about it: it asks how one of the “good kids” who has it all and has done everything right can end up just as confused, lost and frightened as the rest. We feel it speaks volumes about what it is to come of age in 21st century America. 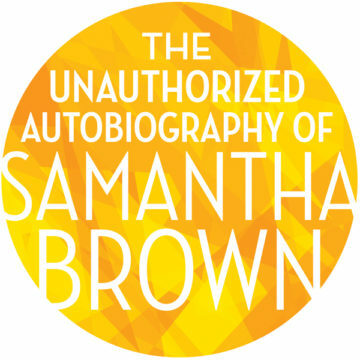 The Unauthorized Autobiography of Samantha Brown was produced by the Aurora Theatre in Lawrenceville, GA (2014) and had a developmental production at Goodspeed’s Norma Terris Theatre (2011). It also received developmental workshops and readings at OCPAC (2009), La Jolla Playhouse (2008), Perry-Mansfield (2007), the ASCAP/Disney Workshop (2007), MTC (2006), and the Makor (2005). Off Broadway premiere in November 2017 with Prospect Theater in residency at 59E59. The Unauthorized Autobiography of Samantha Brown can be performed with 5 actors (3W, 2M), 3 musicians and little to no set. This gives the piece great flexibility – fitting into an educational setting or a chamber or black box space in a regional house. This show features strong female leads and passes the Bechdel test with flying colors. Kerrigan-Lowdermilk have a broad and loyal following on YouTube, where their channel has 13K subscribers and over 6 million views. Most of these views are of videos of songs from this show. Additionally, there are conservatively more than 10,000 YouTube community videos of their song “Run Away with Me” alone. We have been toying with a possible title change. We would love to hear your thoughts on our new ideas. Come talk to us! Brian first conceived the idea for this piece when he was dropping out of Harvard during his freshman year. He moved to New York to become a writer and reconnected with a friend from middle school – Kait, who was a junior at Barnard and in the midst of writing her first play. The rest is history.